Former South Africa fast bowler, Alfonso Thomas, has been appointed as bowling coach of the West Indies men's cricket team. The right-arm fast-medium bowler enjoyed a long career in domestic cricket before playing his last match in 2015. Thomas made his international debut for South Africa in 2007 in a T20I against Pakistan, where he picked up figures of 3/24 in 4 overs, including the wicket of Shahid Afridi. This was his only international cricket match. Thomas played First Class cricket for Somerset from 2008-2015, captaining them for brief periods as well. He became known for his death overs bowling in T20s, playing for teams including Pune Warriors, Adelaide Strikers, Perth Scorchers and Dhaka Gladiators, in addition to spells at Dolphins, Northerns and Titans at various points in his career. At the time of his appointment as bowling coach to the West Indies, Thomas ranks 9th on the list of all-time T20 wicket-takers, with 263 wickets to his name. 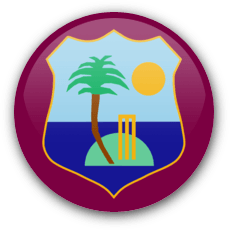 His appointment is no doubt a move to give the West Indies' bowling a shot in the arm in the run-up to the 2019 World Cup.